This year, Create Change is proud to announce that this is the first year it will no longer be supporting secondary school fees since Ghana’s government announced that secondary school fees would be phased out. Create Change is overjoyed at the fact that costly secondary fees will no longer be a barrier for students in Ghana to continue their education. 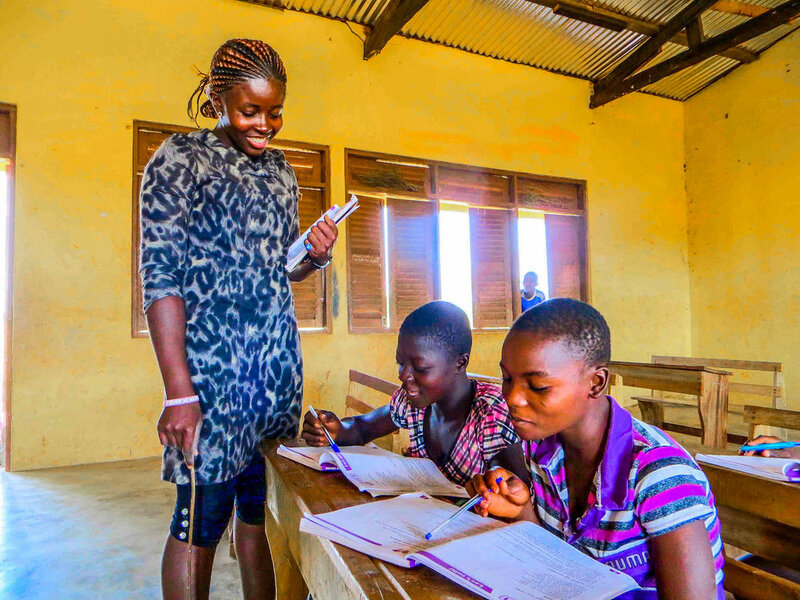 With only roughly 37 percent of students enrolled in secondary education in Ghana, abolishing secondary fees is a step towards increasing the number of people living in poverty who can continue their education to the secondary level. Create Change sponsored secondary students will learn to become leaders of change in their communities. With the support of our donors, the goal of the leadership program is to empower girls at a critical time so as they go on to build their futures after high school, they have larger goals as they will see themselves as powerful agents of change. Not only will Create Change’s leadership program ensure that when girls graduate that they have a clear plan on how to pursue a serious career in the areas of entrepreneurship, community development, and education, they will also understand how to develop partnerships and networks, create innovative programs and initiate change in their communities.